Why Do Labs Love The Water So Much More Than Other Dogs? 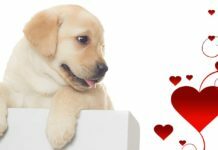 Home Labrador Facts & Fun Why Do Labs Love Water So Much More Than Other Dogs? Why Do Labs Love Water So Much More Than Other Dogs? Why do labs love water? As it turns out, there is a very good reason—it is in their DNA. 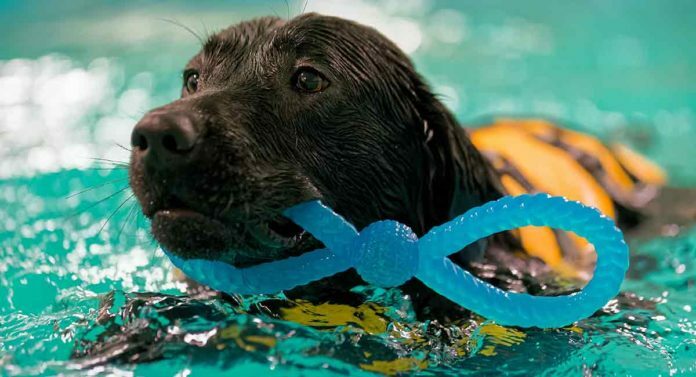 In this article, we explore the Labrador Retriever dog breed’s traditional love of water. So you can better understand why your pup can’t seem to resist taking a dip in anything from a muddy puddle to the vast salty ocean. And if your Lab mysteriously doesn’t seem to like water and you are worried, we’ve got plenty of information in this article for you too. Read on to learn all the reasons why Labs love water, and what to do if your Lab doesn’t. 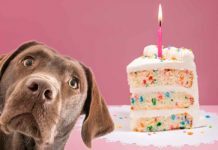 When answering the question of why do Labs love water, it helps to know a little bit about the Labrador retriever dog’s history. 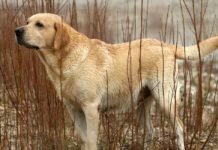 As a dog breed, the Labrador Retriever is actually descended from an earlier dog breed called the St. John’s water dog. As you might guess, this dog breed loved the water. The people who lived in Newfoundland, Canada, where the St. John’s water dog also lived, relied on their dogs to help them fish. These amazing dogs helped their human partners fish by retrieving fishing gear and escaping fish that evaded the nets or hooks. Today’s Labrador Retriever dogs look a bit different from their St. John’s ancestors. But they still retain the same basic skill set of swimming and even diving to retrieve things beneath the water’s surface. Do Labs Like to Swim? The Labrador as a show ring dog is a relatively new phenomenon when you look at the greater history of this dog breed. The earliest Labs were working dogs through and through. As the modern Labrador broke away from its St. John’s water dog roots, these dogs weren’t so much involved with fishing. Rather, English nobility began developing the new Labrador breed specifically to work as a hunting (gun) dog. Labradors were prized canine companions among the aristocracy, chiefly for their ability to track and retrieve downed waterfowl and other small prey. Here, it just makes sense that breeders would carefully cultivate these abilities by choosing to breed parent dogs who excelled in swimming and water activities. 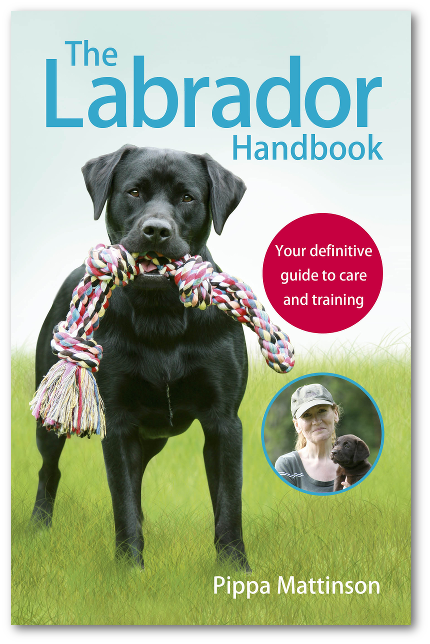 Even the Labrador’s special short, thick coat is double-layer and water-repellant to keep him warm and dry while swimming in the icy cold waters of his native Newfoundland. Do All Labs Love the Water? If you are reading this article titled “why do Labs love water” feeling like you own the only Labrador in the world who does not like water, rest assured you are not alone. Not all Labs love the water. There are a few possible reasons why your Lab isn’t keen on swimming or even getting within paw’s distance of a body of water larger than your bathtub. However, there are also lots of ways you can help your Labrador learn to enjoy the water the way many other Labs do. The most common reason why a Lab might not love the water is simply because it is something different and new. Today’s Labrador Retrievers have been the most popular pet dog in America for the last 26 years straight. But many modern Labs have never worked a day in their lives at anything more than fetching a Frisbee or begging for table scraps. So they may not “take to the water” like a natural, but only because they have no idea they are supposed to. This can especially be true of rescued Labs, who may have been moved from home to home without ever being exposed to water during puppyhood. This makes the water a potential foe rather than friend, and it also makes it your job to help your pup learn to love the water. For some Labradors, that bad experience may involve the water. 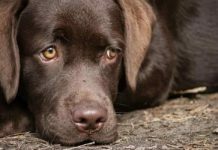 Perhaps your rescued Lab was part of a gundog training that used harsh training methods and negative reinforcement that caused her to feel fearful of the water. Or maybe your Lab was caught in a flood as a puppy and learned to fear the water because of it. You may never know exactly why your Lab is reluctant to enter the water, but you can definitely help your pup overcome her fear and enjoy swimming like the other Labs. 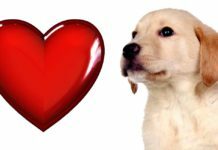 Did you know there are actually two distinct types of modern Labrador Retrievers? The two types are the English (or show) Labrador Retriever and the American (or working) Labrador Retriever. 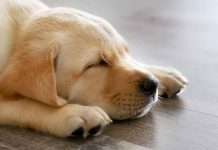 The American Labrador is considered more of a natural athlete, which makes sense because that is what this type of Lab is typically bred to do. These dogs tend to be slimmer in physique, lighter in weight and very keen to live an outdoorsy life. The English Labrador is considered more of the “looker” in the Labrador Retriever world. They may spend more time being groomed for the show ring than splashing about in the local pond. These dogs also tend to be stockier, heavier and less naturally athletic. Either Lab may love the water. But if your Labrador pup comes from a line that doesn’t foster early water exposure, this may account for why your Lab doesn’t seem to want to swim. Why Do Labs Love the Water? So why do Labs love the water? As you now know, if your Lab is a die-hard swim-a-holic, it is because swimming has literally been bred into his DNA. And if your Lab doesn’t love to swim yet, you now have the expert resources to help him learn to love the water. Previous articleDo Labradors Smell Or Are They Fragrance Free? I love this article so much! I have a Labrador border collie and he can’t get enough water, from irrigation ditches to lakes and ponds if there is water near by, he is probably soaked. He even loves rain. He’ll race around until he’s tired bark at me to play with him and then run some more. The only thing he doesn’t like is the hose. It’s the worst for him. Especially after he gets sprayed by a skunk. By the way tomato juice does not work getting skunk smell out of a dogs coat. He also loves following us as we row around in our row boats. I love my lab mix he’s the best. He’s also an emotional support animal. Best dog in the world. So far none of the Labs I raised for the guide dog program have liked the water. I originally thought that it may have been a quality the program bred out. More likely it is because more of their dogs have the English Lab features. My Stetson, who was a career changed guide dog matches your description of an English Lab exactly: “…stockier, heavier and less naturally athletic.” We used to laugh when we watched Stetson and Linus run around playing. Linus, an Aussie mix used to run circles around poor Stetson.